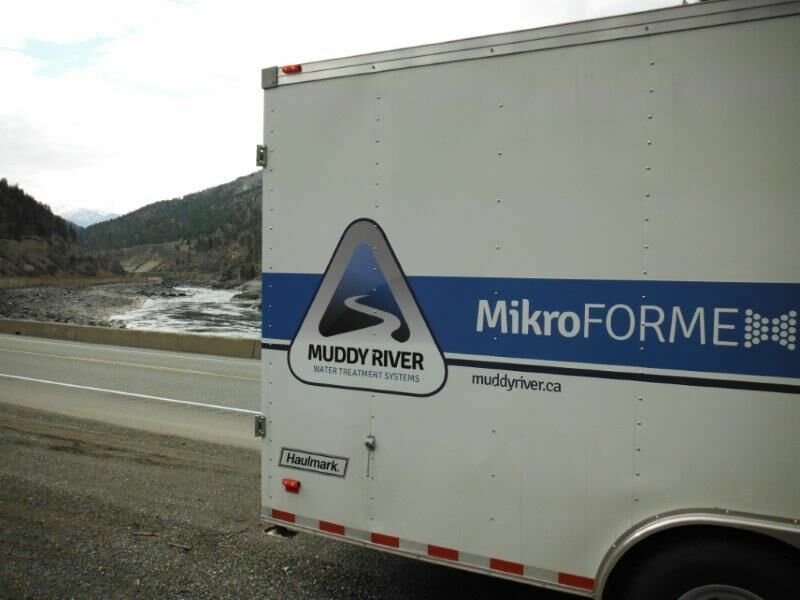 MikroForme uses a patented micro-bubble generator that creates bubbles of five microns or less in water. Micro-bubbles offer two main benefits for treating water: (1) micro-bubbles rise through water very slowly, and (2) micro-bubbles have a very high surface area. Practically, micro-bubbles are used to separate oils or suspended solids from water by air flotation and transfer gases into water. So what is the big deal with micro-bubbles? Wastewater treatment applications use bubbles to transfer gases like ozone, oxygen, or carbon dioxide into water. Bubbles can also be used to lift solids from liquid as in dissolved air flotation systems. So if bubbles are useful, then why are micro-bubbles better? Micro-bubbles are much tinier versions of what you find in a Champagne glass. Micro-bubbles in the neighbourhood of 5 microns or less are so small that we see them as a slowly rising cloud in water. Bubble diameter from a so-called “fine bubble” diffuser may be about 50 microns. One litre of air bubbles in water can form 1.5 x 10 to the power of 10 bubbles, each with a surface area of 7,850 microns² for a total bubble surface area of 1.2 x 10 to the power of 14 microns². In contrast, MikroForme forms 5 micron diameter micro-bubbles (about one tenth of the size of fine bubble diffusers), so one litre of air bubbles in water can form 1.5 x 10 to the power of 13 bubbles each with a surface area of 78.5 microns² for a total bubble surface area of 1.2 x 10 to the power of 15 microns². In a nutshell, MikroForme produces 1,000 times as many bubbles with ten times more total surface area. Greater surface area results in correspondingly improved gas transfer. Gas transfer is also affected by the length of time that gas is in contact with water. Bubbles rise in water according to Stokes’ Law that says bubble rise velocity varies as the bubble diameter squared. This means that 50 micron bubbles rise through water 100 times faster than 5 micron micro-bubbles. For gas contact reactions, this means that “fine” bubbles have 1% of the time for gas transfer compared to micro-bubbles. For gas flotation, turbulence due to rapid rise of fine bubbles compromises solid/liquid separation, whereas micro-bubbles rise as a slowly lifting blanket. So what good are micro-bubbles? Ten times greater surface area of gas bubbles with 100 times hold up time compared to fine bubble diffusers. 1,000 times as many bubbles that rise at 1% of the rate of fine bubbles for liquid/solid separation using gas flotation. If small is beautiful, then what about micro? Buoy-oh-buoy in a bubble!